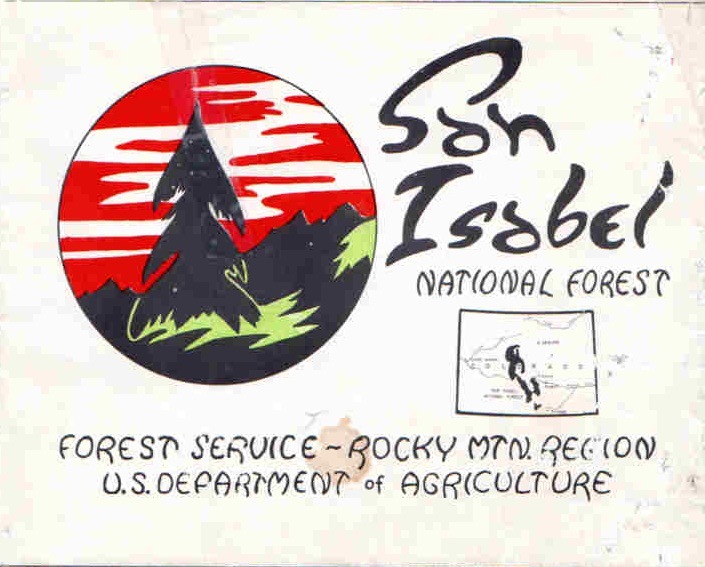 Southern Rockies Nature Blog: Godawful USFS Graphic Design from the 1960s? In connection with the "Looking for Squirrel Creek Lodge" series (yes, more to come), I was going through my old forest maps folder. I nominate this one for Worst Forest Service Graphic Design Ever. It is the cover of the San Isabel National Forest visitor map from . . . well, I cannot say, because there is no copyright date on it! Anyone recognize the font? The artwork suggests a forest inhabited by nightstalkers and werewolves. What is the source of this photo? We are working on a museum exhibit. Call or email the Pueblo Heritage Museum if you have any more information.